Vogue Ballroom is where Melbourne “happily-ever-after” begins in grand style. The moment you say “I do,” weddings at Vogue Ballroom are an elegant and luxurious affair. From our Grand Ballroom with its exquisite details, sparkling crystal chandeliers, and majestic staircase, brides-to-be have a wealth of elegant options in the selection of their wedding venue for their special day. When it comes to your special day, Vogue Ballroom has proven itself to be an iconic wedding venue and function centre in Melbourne with a highly reviewed track record. Looking for an elegant wedding venue reception in Melbourne? Something intimate or unique for your magical day? It is all about creating the right ambiance for your magical Melbourne wedding day. At Vogue our ballroom is exclusively yours for your event. A beautifully presented and decorated free standing building with its own car park facilities. Our team of expert wedding specialists, event planners and chefs will work closely with you to create a wedding experience that is truly magnificent, ultimately unforgettable and lives up to your expectations and dreams in every way. ”Why improve on what’s already been done before? We at Vogue Ballroom totally re-imagine it… Our sole ambition is to inject beauty, passion and grandeur into your wedding as we create memories that you will cherish forever." Award winning cuisine, expertise, renowned service, and attention to detail will ensure that your wedding is a truly memorable occasion at Vogue Ballroom - wedding reception & function venue in Melbourne. Our ballroom is unique for all party sizes for the wedding and reception you have planned. 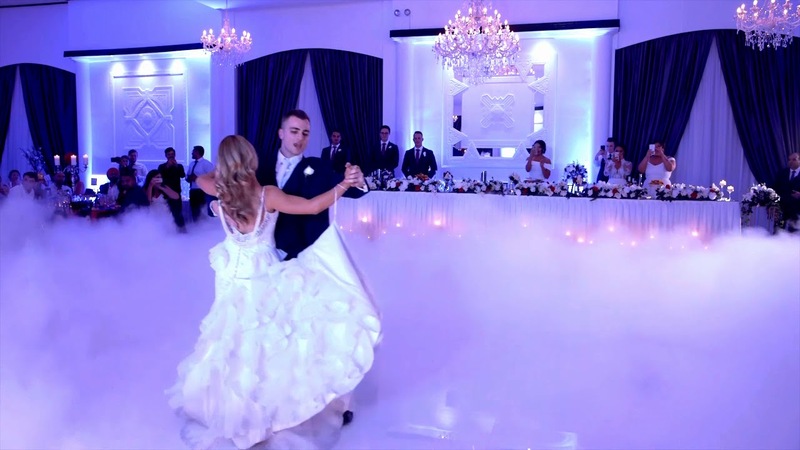 You and your guests will enjoy your special day surrounded by the elegance and style that represent Vogue Ballroom. Our team of Melbourne event planning specialists stop at nothing to ensure the event you put on at Vogue Ballroom is a unique and memorable one. We want people to leave our function venue saying “wow, that was the best wedding I've ever been to,” and therefore we go to extra special lengths when planning your event to ensure this. We take care of every detail, the trusted and highly-experienced team at Vogue will make sure that you and your guests have an absolutely stellar evening. If you’ve been searching for a unique wedding ceremony or other event venues in Melbourne, our ballroom is the best option for almost any special event you can think of. Need a stylish, unique or intimate venue for the perfect wedding reception? Putting on a lavish school formal? Want to put on the biggest Christmas party your company’s ever seen? The elegant ballroom at Vogue is the perfect location for you. Our executive international a-la-carte chef has decades of experience in world-renowned kitchens and will create a mouth-watering menu that will suit your individual taste. Our award-winning managerial team boast working together for number years and have collaborated on hundreds of weddings, reflecting a flawless experience, ensuring all your worries and concerns about the big day are put to rest. A banquet supervisor will oversee your reception, and a senior waiter will be dedicated to looking after the bridal party. At Vogue Ballroom, our committed Executive Chef and Events department have put together a complete wedding package to suit all tastes, needs, and budgets. If there is a particular request that you have regarding our menu, our events department will do their very best to ensure all your wishes are catered to. Our international executive award-winning Executive Head Chef has decades of experience in world-renowned kitchens and will create a mouth-watering menu that will suit your individual taste. Our award-winning managerial team boast working together for number years and have collaborated on hundreds of weddings, reflecting a flawless experience, ensuring all your worries and concerns about the big day are put to rest. "Magical Day on Our Daughters Wedding"
We gave away our daughter on this magical day and we could not have found a better wedding venue to celebrate the moment.